Oscar Cordon decided to save his best for last. The Woodbridge Strikers' midfielder made a wild, jinking run down the right side of the field, sliding past several defenders before his nintieth minute cross bounced around the box, and on to the foot of forward Michael Holder, who knocked it into the goal. 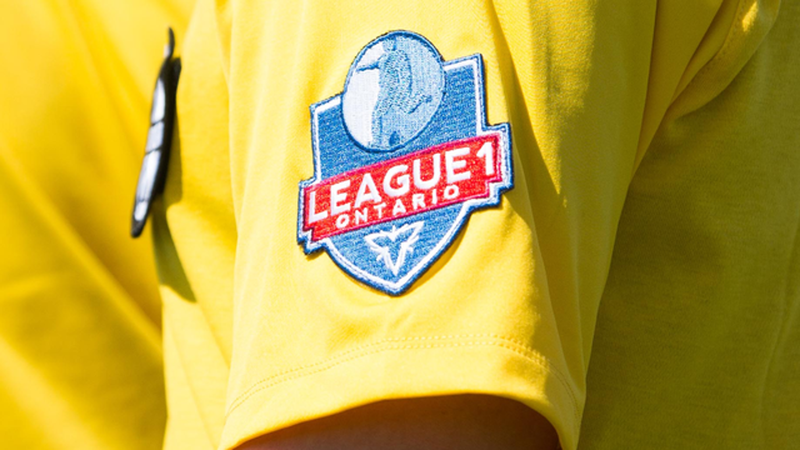 That tied the score 2-2 between the Strikers and Toronto FC Academy in a tough, physical but entertaining League 1 Ontario Soccer match Tuesday night in Woodbridge. The game was a makeup match for a rainout in July, and both teams were eager to get going from the start. The first half was the battle of the Uccello brothers, strikers Luca of TFC Academy and Julian of Woodbridge, who each scored for their teams in vastly different style. Luca got on the end of a Tarik Robertson cross and blasted a full volley from the right side of the box past helpless keeper Eugenio Garro to make it 1-0 after seventeen minutes. Julian replied with his own goal after a long clearance from Garro that caught TFC’s defence napping. He managed to beat a defender and keeper Phil Di Bennardo to tie the game at 1-1 after thirty-two minutes. Luca saw red with a nasty challenge from behind in the thirtieth minute taking Toronto FC Academy down to ten men. The ref handed out plenty of yellow cards, most in the first half and most to Strikers' players who went in hard at their higher-placed visitors. Stefan Vukovic gave ten-man TFC the lead when he got in behind the defence again to beat Garro in the seventy-first minute to make it 2-1, a lead that held out until Holder’s late tying goal. The tie may have been a fair result, but the officiating was the only thing on Toronto FC Academy head coach Michael Stefano’s mind once the contest was over. “First half, he’s (ref) yellow-card happy, second half, he doesn’t know where his cards are. Maybe he gets reminded when we make a foul,” said a frustrated Stefano. “ I thought the first 30-35 minutes of the first half, we did a very good job of managing [the physical confrontation] and going up 1-0 as well, trying to play in very difficult conditions, on a tough pitch. I thought we did terribly well,” the coach added. Toronto FC Academy increased its lead at the top of the table to six points, with thirty-two points in total after fourteen games, while Vaughan has twenty-six points with thirteen matches played. Sigma is third with twenty-five points after thirteen games, and Woodbridge is just behind in fourth place with twenty-three points after playing just twelve matches. Vaughan and Woodbridge face off at Vaughan Grove on Sunday at 7 p.m. For Toronto FC Academy there is no rest as the team plays its fourth match in eight days when it travels to Windsor for a game at McHugh Stadium at 8 p.m. on Saturday.